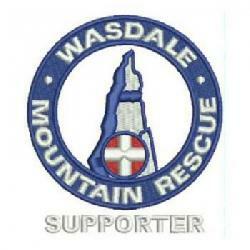 The team was called out to search for a pair of lost walkers descending Scafell Pike. Mobile phone reception was not good enough to gather much information and a search of the mountain was mounted. The pair were found near Lingmell Gill walking towards Wasdale Head. We gave them a lift back to Gosforth from where they took a taxi back to Seathwaite, Borrowdale.